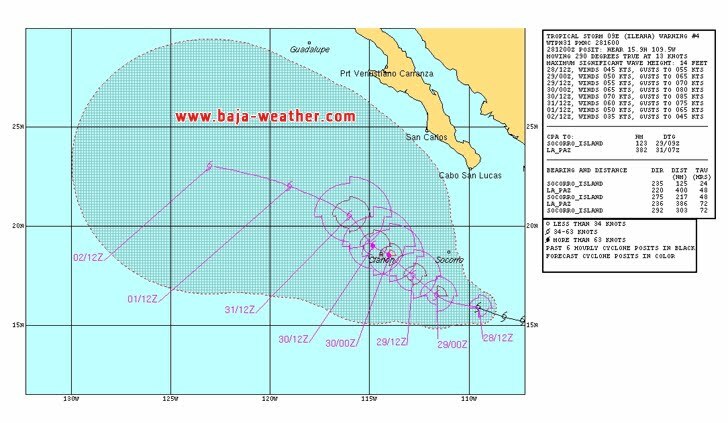 Tropical Storm Ileana forecast to strengthen as it moves over open waters. 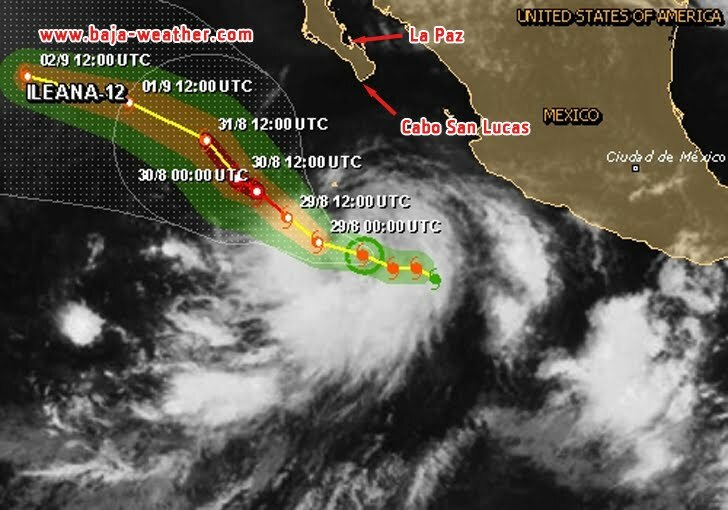 At 14:00hr PDT the center of Tropical Storm Ileana was located near latitude 16.3 north/longitude 110.7 west, about 740 km / 460 miles south of the southern tip of Baja California. 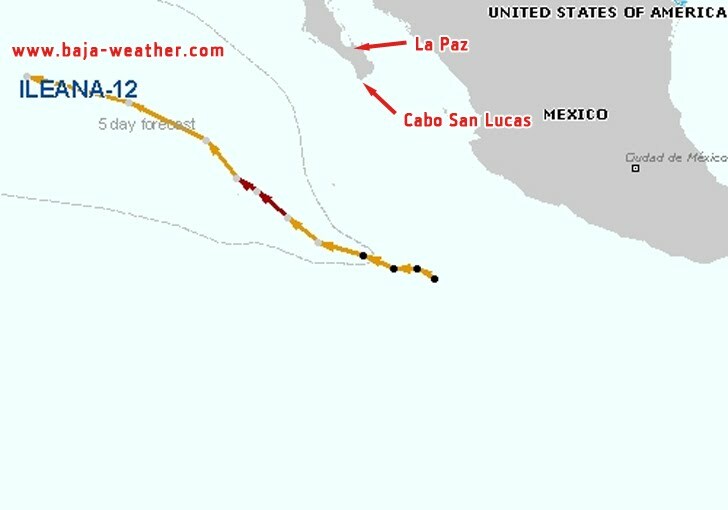 Ileana is moving toward the west-northwest near 10 mph - 17 km/h. A gradual turn to the northwest with a decrease in forward speed is expected during the next 48 hours. Maximum sustained winds remain near 50 mph - 85 km/h with higher gusts. Some strengthening is forecast and Ileana could become a hurricane during the next day or two.